Do you spend hours meal planning? If you are looking to save money, time and eat well, then meal planning is the key. 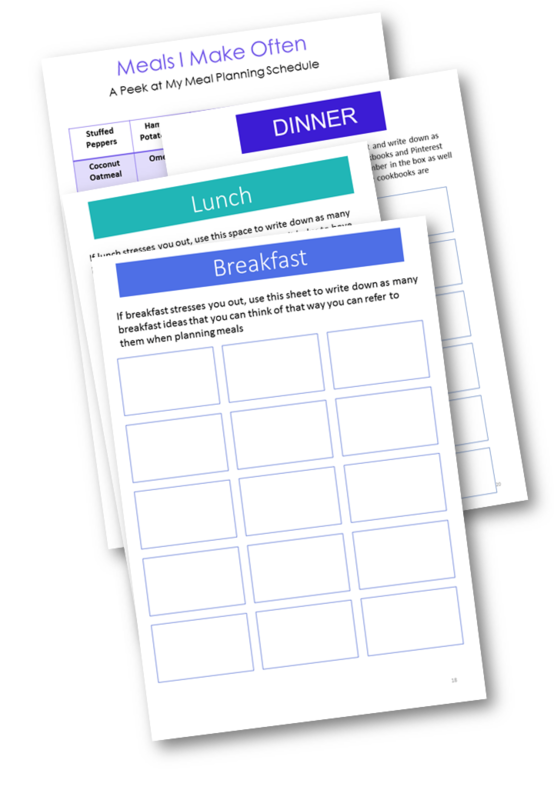 These printables will help you plan healthy meals in less time and help you save money in the process. I use these with my family and they are a game changer to plan meals fast. As a bonus, I will give you 50 dinner ideas that I make often to get you started with meal planning.